It's spooky but very nice scan. whats the name of this manga? it looks cool? can you tell me please? Oooo...very pretty! so wicked with all those puppets. i would love to get one of those puppets and play puppet master. ^^. great scan. thanx for sharing! It's soooooo spooky! I love it! Nice scan! Thanks for it! 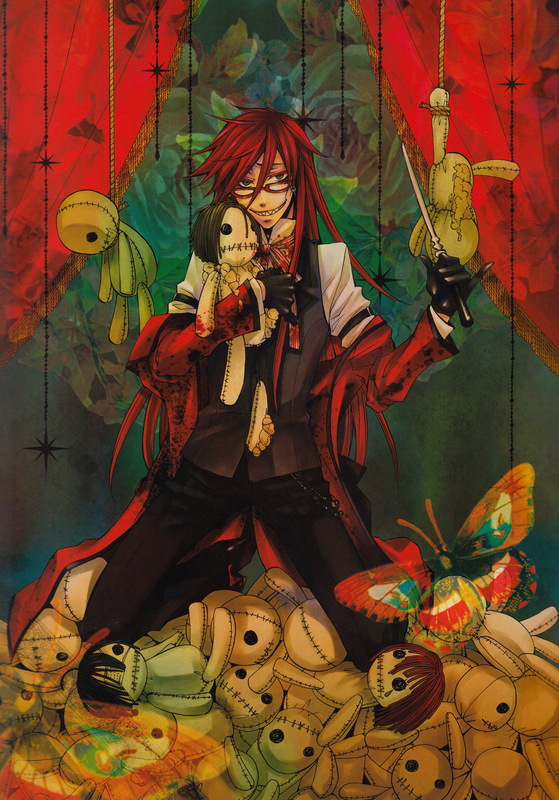 This scan definitely portrays Grell's creepy side! Thanks again for putting up! Great scan! ...That Grell guy really loves freaking ppl out eh. I love creepy people... they are cool in there own way.